The most magical moment in writing is when you sit down with a new batch of characters, turn them loose on the page, and… they come to life. They spring up from that flat, white expanse of page, and they’re real. They’re dimensional. They’re organic. They’re compelling and interesting and wonderful. Except, of course, for when they’re not. Sometimes the magic doesn’t work out like that right off the bat. Sometimes you sit down, start typing, and what comes clunking onto the page are one-dimensional characters who are just going through the motions of the story. Honestly, it’s kind of a vague concept. “One-dimensional characters” is really just code for “bad characters.” But saying a character isn’t well written doesn’t do much to help you know how to write a better character. Good news! That’s what we’re going to talk about today. What Makes a Character One-Dimensional? Let’s be clear here: in our discussion of dimensional characters, it isn’t so much the “dimension” that’s important, but rather that there’s more than one dimension. Why? Because any one dimension, by itself, exists in a vacuum. It’s like seeing the Spirit of St. Louis in the Smithsonian. Sure, it’s cool, but without the man inside it, it’s really just an tin can on wires. Same goes for your character’s traits. You can dream up all kinds of interesting personality traits, backstory motivations, and physical quirks. But any one of them, by itself, will fail to present a fascinating and layered portrayal of your character. It’s obvious when an author wrote a detailed character interview, in which he came up with a handful of character traits to define his characters. The problem? That’s as far as the character development got. The author repeats these characters’ “defining traits” over and over, but he never goes any deeper. The result is a cast of characters who are no more than the sum of their parts. See Any One-Dimensional Characters Here? What if the most notable detail about Frodo were his hairy feet? What if everyone referred to Black Widow as that “red-headed chick”–just so we wouldn’t forget her most striking feature was, you know, her wig? What if Jane Austen told us every other chapter that “Elizabeth was pretty, but not as pretty as Jane”? What if Kvothe was always drawing attention to the lute-playing callouses on his fingertips? What if Hermione couldn’t stop talking about her dad the dentist? These traits are important. But the authors knew better than to reduce their characters to nothing more than the sum total of these singular aspects by resting too much narrative weight upon them. Sometimes authors fill out their character interviews and dive into the story, thinking they now know everything they need to know about their characters. But if all you know is how many members are in your protagonist’s extended family, what his painful backstory secret is, and what he does with his hands when he’s nervous–then you don’t know your character yet. You’re going to need to dig deeper–using the four tips in the next section. I can always tell when an author is proud of a particular character trait. After all, they only tell me about every other chapter. Okay, your protag has luscious blonde curls. Got it. We got it the first time you mentioned it. At this point, readers are going to start feeling annoyed in the same way they would feel were they hanging out with Luscious-Blonde-Curl Girl in real life and she kept poking at her hair and glancing at them out of the corner of her eye, just to make sure they noticed how luscious and blonde and curly she is. Cue eyeroll. As a writer, you’re entitled to love every little thing about your characters. But you must also be aware readers won’t share your enthusiasm for the little quirks. They’re there for the story, and they’re not going to appreciate what is basically the literary equivalent of you gushing over your characters on every page. At this point, you might be wondering if I’m telling you to ditch your character’s little quirk of pulling his earlobe, or that rad two-foot cobalt mohawk you dreamed up for him, or his beautiful backstory of falling in love with his high-school sweetheart. Not at all. These things are all great details you can use to bring your characters to life and to add dimensions. What I am telling you is to make sure you’re handling these details correctly. 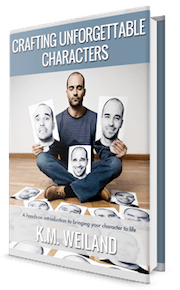 To that end, here are four important tricks for turning your one-dimensional character into a three-dimensional character–without sacrificing any cool traits. Here’s the thing. You know a ton of stuff about your character, and no doubt you love it all. Maybe it even is fascinating in its own right. But here’s the newsflash: readers don’t care. Readers only care about what moves the plot and advances character development. If your protagonist’s cleft chin doesn’t matter to the story, then don’t mention it more than once (and then only in passing, please). If you come back to it time and again, then it better be the one thing that defines this character in a plot-driving way. Consider Anne of Green Gables and her vain abhorrence of her red hair. This is a trait that is mentioned over and over and over again throughout L.M. Montgomery’s classic series. Do readers ever get tired of it? Does it turn Anne into a one-dimensional girl with red hair? Just the opposite. Anne’s red hair defines her. It is a symbol of her insecurities as an orphan. It moves the plot time and again–when Gilbert calls her “carrots,” when she dyes it green, etc. It adds dimension to the story because it shares interesting details about Anne’s personality and impacts the plot in important ways. Even when you’ve created a facet or quirk that’s important to your story, resist the urge to remind readers of it at every turn. Your entire story isn’t likely to be about this one trait. It should be one facet of many (one dimension of many, right?). Repeat after me: interesting traits only matter when they matter. Only reference aspects of your character when they function to either enlighten readers about a character’s mindset or directly move the plot forward. In John Green’s Fault in Our Stars, the male lead has a pretty defining physical trait: he’s missing a leg. This is mentioned multiple times throughout the book, mostly as a representation of life with cancer. But it is only mentioned when it’s important. Green doesn’t introduce Gus in every scene by having him limp or rub his leg or look meaningfully at his prosthesis. Instead, he creates a character who interacts with this facet of his body in a realistic way: thinking about it only when it interferes with his physical activity or when it is pertinent to his personal development. We’re looking for extra dimensions, remember? So don’t create a trait and leave it that. Don’t just say your character is a star athlete. Mine that little detail for interesting insights into her character. Why does she play sports? To please her parents? To prove her self-worth? To outrun the pain of an illness? When you create a “good” trait, look for the bad in it–and vice versa. Always search out the subtext. What happens when your character’s greatest strength just happens to feed her greatest weakness? In truth, this is the heart of all great character arcs: this inner conflict between two important traits or beliefs that are each trying to gain supremacy in the character’s life. For every force in your character’s life, create an opposing force. As fast as that, you’ve added new dimensions to this character’s existence. Tony Stark’s seemingly vast intelligence and confidence is constantly undermined by his equally deep insecurities and immaturity. He remains one of the most-loved characters in the Marvel universe because of his complexities. No trait lives in a vacuum; every trait has its opposing force. He’s a rude jerk, but also charming and charismatic. He’s deeply loyal, but also irrepressibly undependable. He’s recklessly brave, but also enslaved to his own fears. His traits aren’t just traits. Because they were explored in full, they became the whole story. Execution is everything. You can check all three of the above steps off your list, but the most important still remains: you must present your character’s interesting traits with artistry and subtlety. In short, don’t hit readers over the head with your character’s traits. Don’t tell readers that your character is vain about her hair, experienced a painful amputation, or is a charismatic jerk with daddy issues. Show them. 1. Is the character’s trait still clear thanks to other instances where you’ve shown it in action? If so, then you almost certainly don’t need those places where you also tell readers about it. 2. Does the story still make perfect sense? If so, then you probably didn’t even need to bring up this particular trait in the first place. Every single one of the examples I’ve referenced previously show you how to do this right. Want an example of how to do it wrong? Just think back to our good pal with the Luscious Blond Curls. This is an incredibly important aspect of your story. You can ace just about everything else, but if your characters are coming across as one-dimensional due to an overemphasis on certain traits, then everything else will suffer. 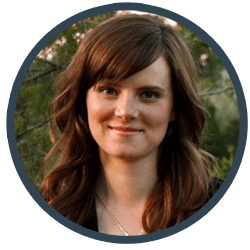 Take a look at your story and make sure you’re sharing your characters’ important traits with readers in a way that will make readers love those traits just as much as you do! Wordplayers, tell me your opinion! What do you think is the greatest antidote to one-dimensional characters? Tell me in the comments! I’m lovin this post. There’s so many good things here. After putting together consistent posts on my site, I realize how much WORK it is. I don’t think people realize what goes into producing a quality post complete with links, images, and thoughtful input. Not to mention doing it on a consistent basis. So just saying THANK YOU CAP (not sure why I’m calling you cap). Did they really make Captain America a traitorous spy for Hydra? They’ve ruined him forever unless they come up with a really good plot twist. My first concern is not knowing my character well enough, which used to pretty daunting. But now I know how to dive deeper into his internal motivations by creating internal conflict of flaws. THAT’S SO COOL. Great stories are really about people and their internal/external dilemmas. Having two opposing traits reminds of Jacob and Esau wrestling in the womb. In reality, sometimes our positive traits win, sometimes they don’t. This is SO fascinating. Human traits are very dynamic. They go back and forth on a pendulum. I can be very social, then revert back to my introversion pretty quickly. EFNP or possibly EFNJ can’t decide. *Unruly yet fights for justice. In the negative Trait Thesaurus Carolyn Kaufman says they’re at least 10 traits that people possess if I remember correctly. Do you create that many traits for your characters? In Write Away by Elizabeth George, she talks about how our characters have an internal and external landscape. She likes to get inside their head and show readers something of their mindset etc. Like you said show the reasoning why they do what they do, which I think adds dimension. My favorite stories this year have done just that! Storming, Cress, The Patrick Bower File Series. All of them have multidimensional characters that resonated with me. Now it’s my turn to learn how to write them! First a note on MBTI,:if your character has primary traits of rebelliousness and unruliness, I’d say that makes him more likely to be an ENFP, who with Introverted feeling (Fi) is more likely to go his own way and do his own thing than the ENFJ with his Extroverted Feeling (Fe). Not that it can’t work the other way, but ENFJs are classically forward-thinking team players who pursue harmony. Third, I generally start out wanting to know at least two conflicting traits for characters. The rest of the traits tend to arise on their own. I can then identify them and put them to work organically. Argh. This whole trait thing is not easy. The negative trait thesaurus has been helpful in this regard. In my head I envision him being a certain way, but then crafting him out of my head takes some practice. So you’re saying start with with two conflicting traits and go from there huh? That sounds like a plan. Hmm. He was abandoned at an early age and experienced different cultures etc. that gave him opposing viewpoints, not to mention witnessing corruption in his own culture. That was my thought from him being rebellious and unruly. In the neg trait thesaurus, they say this might come from strictness from parents and so forth. He’s a good guy, but his reaction to overbearing parents, the strict environment, and seeing corruption causes him to become unruly. At least, that’s what I had in mind. Not sure if that’s realistic or not. I try not to “force” traits onto a character. I don’t just pick traits and say: “You have to be this way.” (Which is, actually, why I resisted using MBTI on my characters for a long time.) Rather, I try to examine what I already know and “feel” about a character to suss out the traits that are already there and make sense. It’s very much a process of instinct and invention working together. Hey, sounds very intuitive. Thanks. I know what you mean. I was afraid for a while that if I “decided” my main character was an ENFJ, or whatever else, that I would then shortcut actual character development and just have her follow the typical ENFJ character description. And that is a real danger. But I now have come around to the idea that the MBTI is just another way to understanding and analyze a character’s inner workings. Probably the most helpful aspect is that the cognitive functions will suggest all kinds of inherent tension, since everyone has an F and a T side and an N and an S side. When I didn’t understand the MBTI very well, I thought that identifying a character as an ENFJ would cause me to make her one dimensional — i.e., that I would always have her react in an “F” way rather than using logic. But of course that’s not how ENFJs are in real life, and it’s not how my main character behaves in my story. Real ENFJs (like my brother and my boss) can have amazing use of Ti, and often great judgment on when it should be the driver. The fact is, I am really an INTP, and I need an analytical model for understanding my characters deeply. An INFP or INFJ type can probably do this primarily from the inside, but I like to have some intellectual scaffolding to get me started with trying to “feel” my way in. The last WIP I wrote was really the first on which I’ve had any kind of an awareness of Myers-Briggs. It was so helpful in refining personalities, in realizing that this ENTJ character would be much more focused on the future than this ESTP character. Just another thought, piggy-backing on what Katie is saying — an ENFJ could be rebellious, but you would need to come up with some background on why he developed that way, which could be even more interesting than someone who just naturally is rebellious. And, Benjamin, it sounds like you have a background explanation on how this could have happened! The whole idea is really intriguing to me. *nods* I approve. It’s not so much about the quirks as it is the person behind them. Personally, I think it can be kinda dangerous to come up with a list of quirks and then try to deduce the character’s personality from them. That’s like trying to cram an infinity of complexity into a tiny glass tube and shove a lid on it. 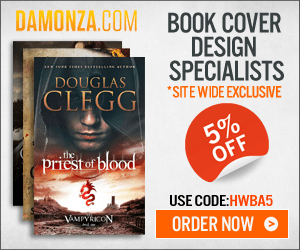 Or like designing a book cover and randomly slapping it on the first manuscript you come across. No, people. Every single character is an untapped well of complexity. Dive in and discover them before you try to define them. I agree about the list of quirks. The most important traits are the ones that drive the plot, and, frankly, sometimes you have to discover the plot before you can identify which traits those will be. I’m almost done with my WIP, and it’s so god awful. I feel like Rosemary- it’s a demon child, but it’s MY demon child. I think my MC and others needs some more depth. They have interesting traits but not always connected to the plot. My theme is out of whack too. I will think on these issues you raise with my rewrite. So…good timing. Steve Rogers is Americas hero! Unless they manufacture a killer storyline, in which case, boo Steve Rogers! Sometimes you have to finish a book before you really know which of your character’s traits are most important. This is yet another reason I find outlining so valuable. But, even then, there are so many things I discover during the drafting process. The problem I’m facing in my current piece is I think the antagonist is flat. There’s no redeeming quality about him in the novel. I hate him, the protagonist hates him, the protagonist’s husband hates him. I’m not sure the antagonist’s wife even likes him. My readers say he doesn’t feel flat. He seems like a real person – a slime ball who has gotten away with too much his entire life. (Rest assured, he gets his comeuppance). But I’ve read several times that the antagonist needs a soft side, a human side, the reader needs to know why he is the way he is. What do I do?? I’ll have to speak with the antag’s wife and ask why she married him. Smart move in talking to the wife! Sometimes that’s best way to get inside a difficult character. I’m actually going to be talking about antagonists in next week’s post. But one of the most important things to remember is that the antagonist will never see himself as the antagonist. Try turning things around and seeing what the story would look like from his perspective if *he* were the hero. I like how your post mentions the “show don’t tell” of writing. I definitely believing showing someone the relationship between characters rather than just saying “Sue gets along better with her dad than her mom” is important. However, I have a more difficult time with inserting physical descriptions of my character into the text. In your example of blonde curls, would you suggest just mentioning it a few times, like when she/he turns his/her head to speak to another character or use it as a defining characteristic (like Anne of Green Gables)? Thank you for your great and informative posts! Thanks so much for this post! I’m in the outlining process with my first novel, and while I know my MC pretty well I’m still fuzzy on the rest. I’ve read so many books where all the supporting characters are defined by one or two qualities – you can tell the author was trying to make them unique, but a lot of times it just ends up being annoying :/. Great advice on keeping the personality quirks in their proper place! Really, this goes for just about *anything* in creating a story. We have to make sure that every detail we add is integral to and advancing the plot, instead of just being window dressing. I think a good illustration of this is the Tenth and Eleventh Doctor. The Tenth was far more three-dimensional; he had his strengths and his balancing weaknesses. His quirks were never overemphasized. He wasn’t cut and dried, and his character arc was superb: he went from energetic and filled with a childlike wonder to almost a tragic figure, but he was always the Tenth Doctor. Then Eleven came, along with a new showrunner. Eleven was defined by just a few traits (bowties/fezzes are cool; the Doctor lies) and these catchphrases and quirks were repeated over and over, as if those alone made him a well rounded character. But he always came across as gimmicky to me (Stephen Moffat also wrote a few episodes for the Tenth Doctor, and you can see that he doesn’t get Ten; he writes him as if he were Eleven. Especially in the Fiftieth Anniversary Special, where Ten has none of the character and brilliance that we loved; he just had a few gimmicky phrases and most of his scenes were slapstick moments). The Eleventh Doctor never had a character arc; he was very much a static character who tried to pretend like he was a dynamic character. Despite the same ‘lessons’ being taught him over and over (primarily, that he was trying to make his companions like him in an unhealthy way) he never learned and he never grew. That’s interesting. I’ve only seen the Ninth and Tenth Doctors (and agree, David Tennant was fabulous), but people seem to really love the Eleventh. Yeah, a lot of people do love Eleven, and I don’t think he’s a completely bad Doctor … but when I went back to rewatch his episodes they bored me. I also realized that I didn’t make a sentence clear in my original comment. Eleven tries to make his companions *become* like him by forcing them to make morally and ethically sticky decisions like the ones he makes. Ah-ha, sounds like the showrunners wanted him to be a flat-arc impact character. But, yeah, those always get tricky when their sole purpose is to try to be morally elevating (in their minds) to those around them. I feel the urge to state that the best Doctor was the one portrayed by Rowan Atkinson. I think he’s a great example of a fun contradictions — he’s the Doctor most known for being very childlike and yet very old at the same time. And the Tenth had that interesting combination of being warm and amiable but with a ruthless streak. Thank you very much for this article about avoiding one dimensional characters. In some ways it describes a character in real life with his weakness and strengths. Would be very rare to know a character in real life who is strong all the time; or, one who is weak all the time. Would not be realistic. Thank you again. Thanks to your insight and teaching i look critically for these traits in reading a book, or in watching a movie. Was just watching he old John Wayne movie today “Sands of Iwo Jima” trying to figure out the Sgt. Stryker character. Will have to watch it a couple more times to get a better insight. Stryker was a good character–lots of conflict. But it’s really been too long since I’ve seen it for me to remember much about him that would be of use. One of my protagonist’s major character traits is his high temper. Through this he’s impulsive, yell at his friends and family, and generally appears to be a bad kid. That’s where I’m trying to make his anger have more dimensions. He doesn’t like being so angry and despise how he appears to others. He is a nice guy. When the main conflict is a bit calm, I’m able to come back to his internal conflict to keep some tension high. I’m hoping that this conflict will appeal to how everyone has something that they don’t like about their personality. The other fantastic benefit of giving characters flaws is that readers always admire characters who are exerting effort to then *overcome* those flaws. It’s win-win! Nicely stated. Much like Anne’s red hair defines her, I’m using a similar approach for my second project to advance story, plot and individual story arcs. It’s an ensemble cast of 5 talented runners in their early thirties competing on the same club team. Instead of giving physical descriptions for each male runner, which can be easily inferred (lean, etc) I describe their running forms, which ultimately reflect their personalties, the positive and negative aspects of it both in life and in running, internal conflicts it represents for each runner and room for growth in the story (ex. His stride looked much like Olympian Mark Conover’s: a shuffle of sorts, almost like he was dragging his feet along, though his busy turnover rate made up for the low knee lift, an efficient form for marathoning). Thanks for putting together a nice quick reference for avoiding one-dimensional characters. Smart! We see this approach used now and then in fantasy stories, in which the character’s fighting styles are extensions of their personality. It can be overdone to the point of being a crutch, of course, but as a starting point for metaphor and subtext, it’s great. Thank you for the remembrance! I try to kick the one-dimensional character and turn her three-or-five-dimensional. It goes a bit well with the main character, and then i forget to do the same with the secondary characters. I’m actually in the process of consciously applying all this to minor characters in the outline I’m working on right now. It’s so much fun! Like unlocking a treasure chest of possibilities. Great point. Shades of gray are almost more interesting anyway. Sometimes we feel pressured to ramp the stakes to the hilt, when, really, the biggest stakes are often far less interesting than the smaller, everyday ones. I so agree! And the huge-stakes stories are so much less applicable to life. This reminds me of how Doctor Who kept ramping up the stakes until finally the Daleks were threatening to destroy “reality itself” with a “reality bomb,” which I honestly loved, but it was also laughable. Is it okay if a character is smart but also loyal? I added my friend Vance in the story and I made him really good at inventing gadgets for my character, Amelia’s adventures, and he also cares a lot about her, and was willing to risk everything for her, so there could be some romance between them, even though they’re of two different religions. Definitely. There’s no conflict between two good traits like that, but it’s also fun to explore the flipsides. That’s good. I want to do something with him, like make him the kind of person that Amelia can go to whenever she needs help in a situation that she’s trying to handle, and there might be some romance between them, since they both seem to care about each other, or a platonic friendship. I might even have them be like brother and sister to each other, if I have other characters become romantically involved with Vance and Amelia. Fantastic Article. I put it on my list. I find writing my character’s personality difficult, I usually choose positive and negative traits and try to write my character’s personality from that. Is it better to just write the character and discover their personality as you write the draft? A little of both. God writing is both creative and logical, conscious and subconscious.